Grow your own ingredients at your farm and turn them into mouthwatering dishes in this brand-new restaurant simulation game, Tasty Town! Developed by the very people behind “World Chef”, Tasty Town is definitely a step-up in every way when compared to the original. 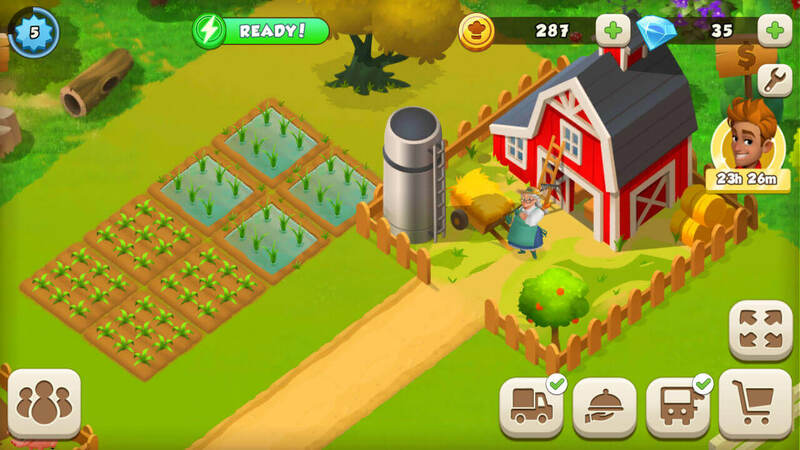 For starters, the gameplay is greatly enhanced with the addition of a farm where you can plant, grow and gather your own crops, and raise various farm animals. Your chefs can then turn the fresh produce into mouth-watering dishes for your customers. Although this new feature somehow made storage an issue for the players (storage is combined for some reason for both ingredients and cooked food), it’s still a pretty fun addition to the gameplay. There are also special customers who will drop by your place now and then. These “Rush” customers have limited patience to wait for their food to arrive and require a rush on their order. In return for putting up with their request, you’ll gain books which you’ll need to train your chefs at the Academy. 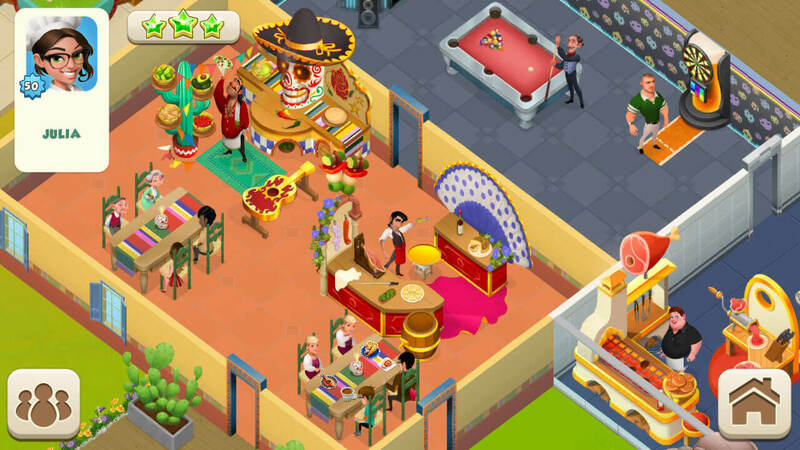 Interestingly, Tasty Town has greatly expanded the social features that were previously available in World Chef. In addition to the usual friend system, you can now create or join a Chefs Club and work with your club friends to achieve specific goals. The horseshoes you’ve obtained from helping out friends can then be spent at the Slice of Luck’s wheel of fortune for a shot at getting some amazing prizes. 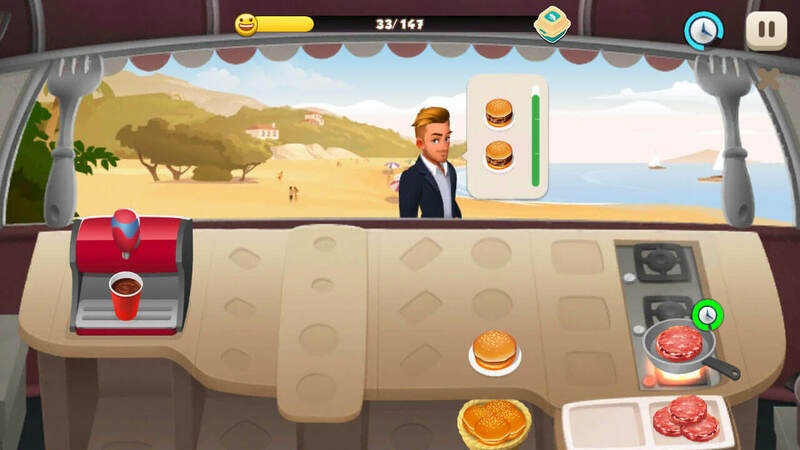 However, the best part about this game, aside from its pretty standard gameplay of cooking food, serving them to customer and turning a profit, is its fun time-management mini-game in which you operate your own food truck called Tasty Dash. However, to start a round of Tasty Dash, you’ll first need to serve a couple of customers to fill up the energy bar (it’s kind of like fueling your food truck). The gameplay in Tasty Dash is really fun, to say the least, but personally, I think the game is intentionally designed so that you will feel pressured to spend your precious premium currency, gems, on purchasing new stoves and drinks dispenser just so you can serve your customers faster. But if you can manage to suppress that urge, you will find that even with limited kitchen equipment, you can still make the target if you serve your customers strategically. Oh, and don’t forget that there are even story quests which introduce you to each of the game’s main characters while providing them with some depth and personality, a wide range of buildings you can eventually unlock and use, as well as plenty of themed decorations for you to decorate your place with. Now, although Tasty Town has greatly improved on the original game in several ways, the one thing it doesn’t really change is its graphics. Apparently, many of the visual assets in this game is exactly the same as in World Chef. Considering that this game isn’t exactly “World Chef 2.0”, I don’t see why they didn’t spend a bit more funds and effort in switching up the graphics a bit. The all-too-similar graphics only give players the misconception that this new game is 100% the same as World Chef. Not a good way to attract new players to play the new game, I’m sure. All in all, despite the “recycled” visual assets, Tasty Town is definitely a step-up from its predecessor, World Chef although the game’s technically not a sequel. There are so much more for you to do now aside from cooking food and serving them, and all of the “extra features” do help a lot to supplement the generic restaurant-management gameplay.